Record lab environment conditions for captured images. Design test plans that execute multiple module runs. Efficiently communicate data outputs in these new interactive results. Analyze custom-designed charts for improved testing efficiency. Measure visibility of low contrast features over a wide range of brightness. Measure dark patches on a light field according to this new standard. 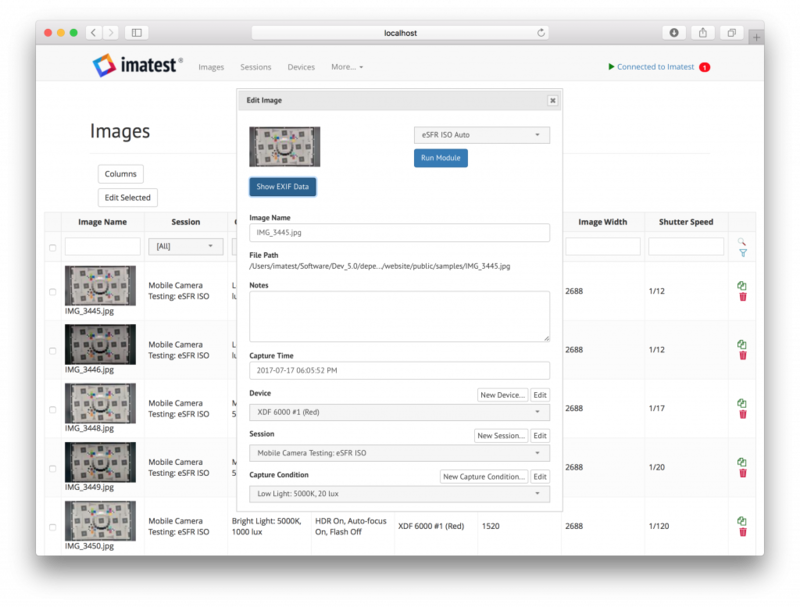 Acquire images from a variety of sources in Imatest Master. Maximize testing throughput in Imatest IT and the Test Manager. Imatest 5.0 adds the ability to store useful details about the capture conditions used in a test setting. The web-based interface provides the ability to track important information such as camera settings and environmental properties including lighting and distance. 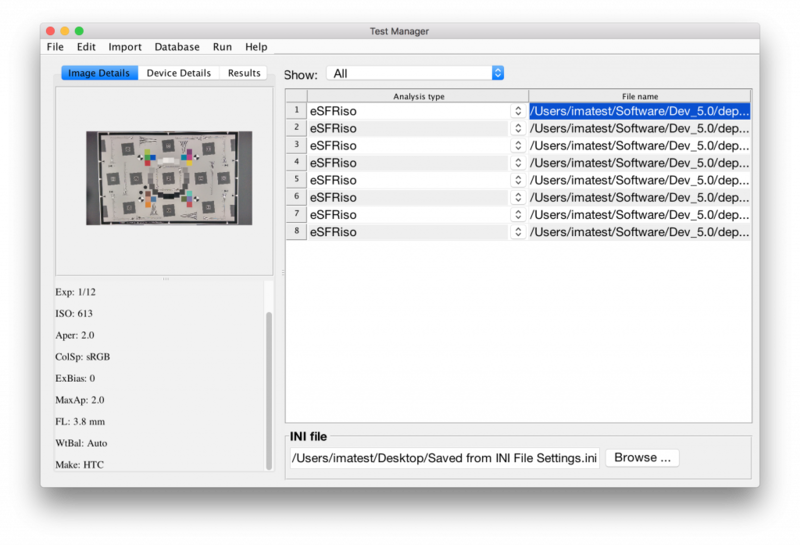 Test Manager provides users with the ability to process a collection of images with automated analysis routines. Use either free-form test plans to assign relevant test categories to each imported file or use predefined test plans to run standard testing procedures such as CPIQ analysis. 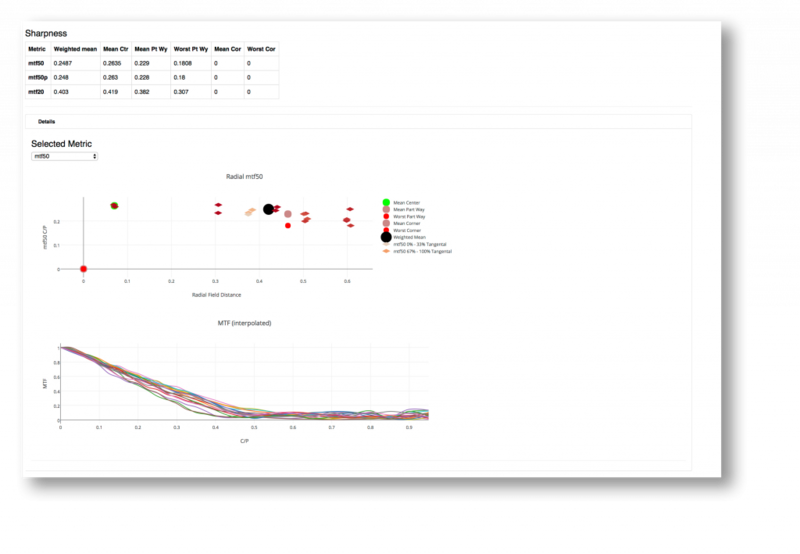 Increase testing performance by combining all the features you are interested in analyzing into a single chart (such as the P1858 Variant Combo). 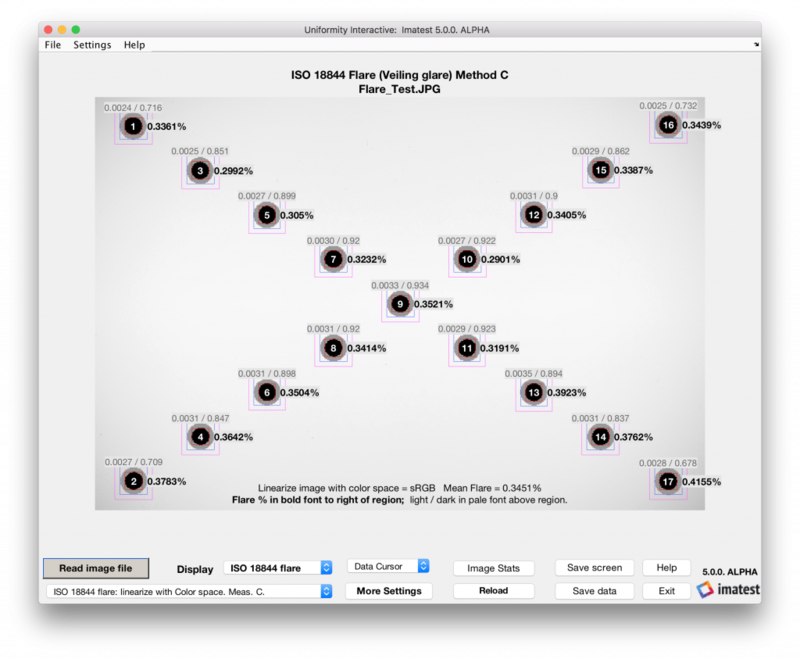 Users can define chart layouts with a definition file to auto detect and analyze target features, significantly reducing the number of images needed for analysis. 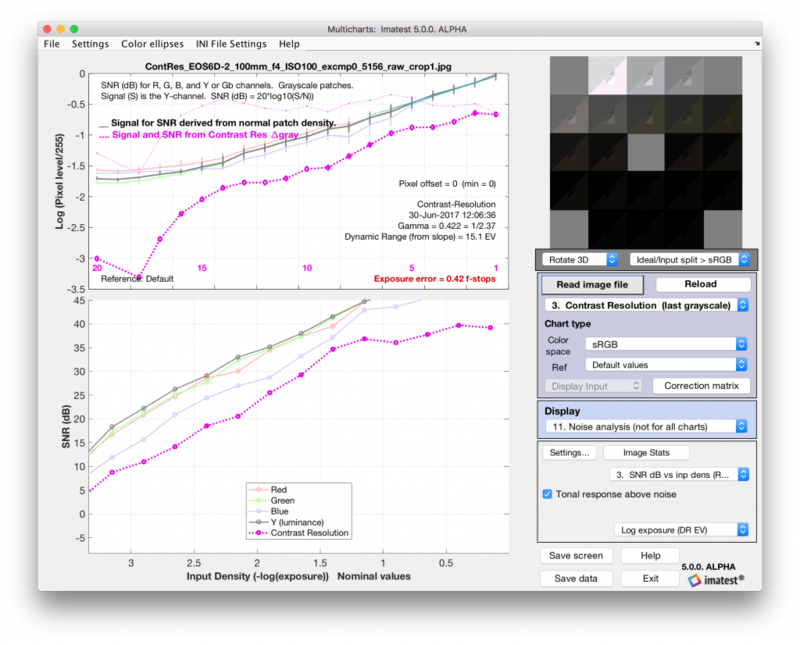 Imatest 5.0 features a new innovative calculation to measure and visualize the distinguishability of low contrast objects within larger fields, over a wide range of brightnesses. In conjunction with the new dynamic range test chart, the analysis provides meaningful results for tone mapped images. The new ISO 18844 standard for flare measurement works with arrays of high density light traps or black holes. Imatest 5.0's Uniformity module automatically analyzes flare according to the new standard. 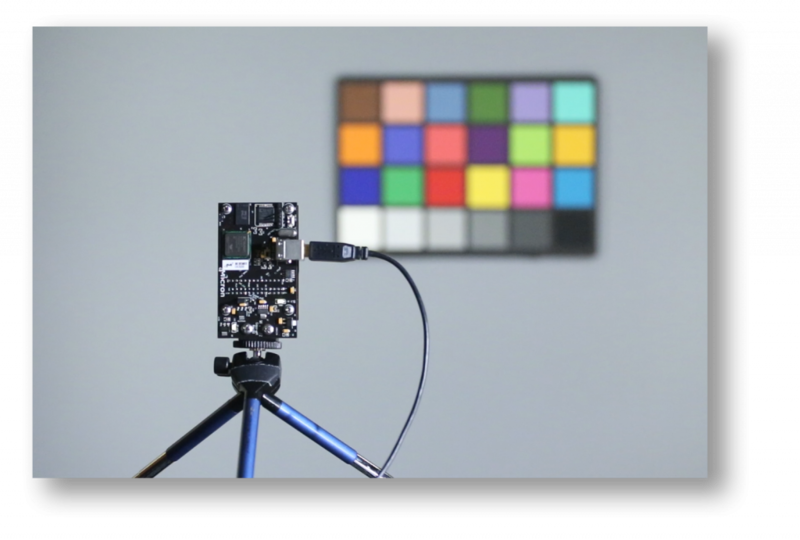 Imatest 5.0 provides a direct interface with several camera capture boards for automatic image acquisition in Imatest Master. This removes the need to process and organize individual image files, simplifying research, development and rapid prototyping. Imatest 5.0 enables increased throughput on test machines with parallel processing. Capture images at higher speeds for real-time focusing and active alignment. Examine a number of image properties including cross-sections, square regions, histograms, fourier spectrum, distance between points, and EXIF data. Provides multiple regions of interest (ROI) for the analysis of multiple wedge plots on an eSFR ISO test chart. Read, process, and save batches of images by reading a batch of several images rather than one individual image. 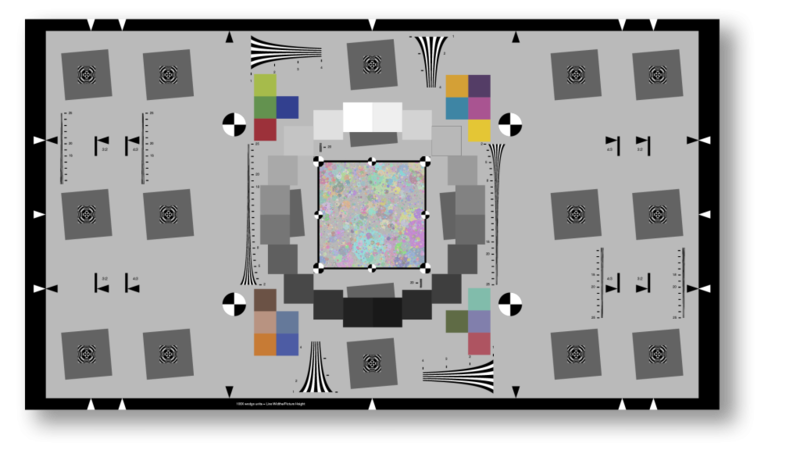 Analyze MTF measurements near the camera's center field of view on ultra-wide cameras as well as tonal response, noise, and color measurements.